Fred Sandback: Sculpture and Related Works. Sioux City Art Center, Iowa. April 9–July 3, 2005. Traveled to: University of Wyoming Art Museum, Laramie, July 22–November 18, 2006. Fred Sandback: Zeichnungen der 60er, 70er und 80er Jahren. Galerie Völcker & Freunde, Berlin. April 9–May 31, 2005. Fred Sandback: Drawings/Zeichnungen, 1968–2000. Annemarie Verna Galerie, Zürich. April 23–June 25, 2005. Fred Sandback. Kettle’s Yard, Cambridge, England. May 7–June 26, 2005. Fred Sandback: Prints, 1971–79. Dan Flavin Art Institute, Bridgehampton, New York. May 26–October 2, 2005. Fred Sandback. Lawrence Markey Gallery, San Antonio, Texas. September 27–November 4, 2005. Fred Sandback. Kunstmuseum Liechtenstein, Vaduz. November 18, 2005–February 19, 2006. Traveled to: Fruitmarket Gallery, Edinburgh, March 18–May 14, 2006; Neue Galerie am Landesmuseum Joanneum, Graz, June 23–September 3, 2006. Sechzehn sechzehn plus. Galerie Mueller-Roth, Stuttgart. March 18–April 23, 2005. Drawing from the Modern, 1945–1975. The Museum of Modern Art, New York. March 30–August 29, 2005. In Black and White. Susan Sheehan Gallery, New York. April 1–June 11, 2005. New Acquisitions to the Permanent Collection. Metropolitan Museum of Art, New York. April 26–July 24, 2005. 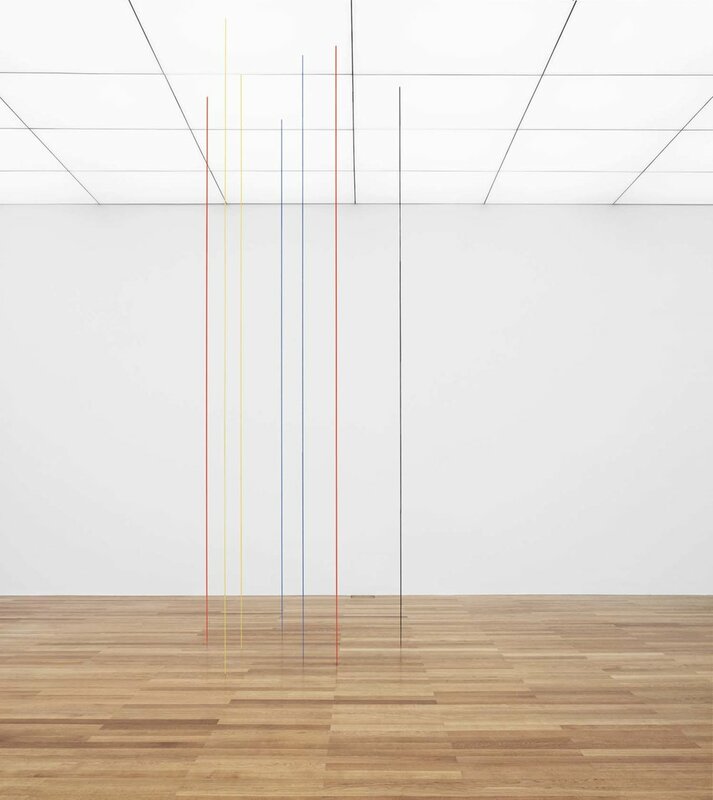 Five Minimalist Artists: Carl Andre, Dan Flavin, Donald Judd, Sol LeWitt, Fred Sandback. Björn Ressle Fine Art, New York. May–July 2005. The Shape of Color: Excursions in Color Field Art, 1950–2005. Art Gallery of Ontario, Toronto. June 1–August 7, 2005. Josef Albers, Daniel Buren, Ellsworth Kelly, Sol LeWitt, Robert Mangold, Fred Sandback, Peter Wegner. Barbara Krakow Gallery, Boston. June 16–July 28, 2005.